Electronic Americana! Dead Hollywood Stars have pioneered across the dusty plains with spaghetti Western and have panned for gold in the Old West to sift out the finest nugget of country-esque music. After two successful full-length albums of Hollywood soundtrack Western music, John Sellekaers and company give us Smoke and Mirrors, a stripped-down version of the previous releases. Acoustic guitar and minimal drums blend seamlessly with modern technology in this music that is unlike anything you will ever find among your industrial CD collection. 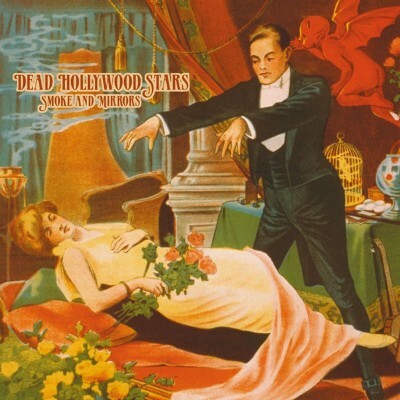 Just close your eyes and you will feel the surroundings of an old Western movie when you listen to Dead Hollywood Stars. Smoke and Mirrors is the most satisfying and, sometimes, much-needed vacation from traditional electronic music.